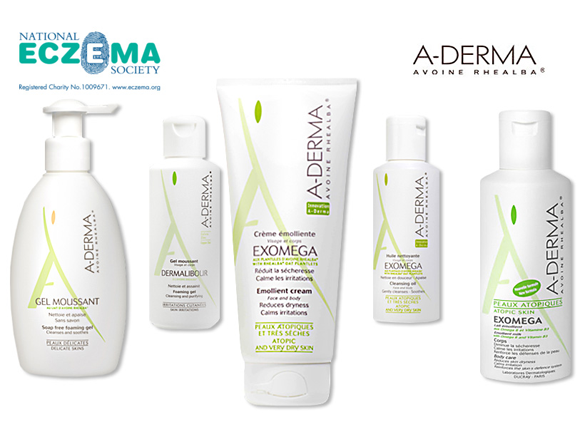 When it comes to eczema, our customers can’t stop singing the praises of A-Derma. The range aims to relieve eczema-prone skin with its anti-irritating and protecting properties, made up of active ingredients Filaxerin®, Vitamin B3 and Rhéalba® Oat Seedling extract. Instead of extracting from the seed, the A-Derma Exomega range contains extracts from the Rhéalba® Oat’s young shoots (seedling), which are harvested at a time when the oat’s skin-soothing saponins and flavonoids are at their peak, ensuring maximum effectiveness. The Rhealba oats used in the A-Derma range are organically grown under strictly controlled conditions. The extract, characterised by its extreme purity, makes A-Derma products completely safe to use on irritated skin sufferers aged 2+. The bestselling product in the range is the A-Derma Exomega Emollient Cream, a thick emollient formulation that calms irritation, reduces dryness and helps to restore the cutaneous barrier. It is fragrance and paraben free and there are no detectable proteins, which means that the risk of triggering allergies is greatly reduced. In a trial, a significant 21% increase in moisture rate was observed in children after the very first week of application. Take a little look at the reviews to see how popular it is! Discover the entire A-Derma range of skincare right here at Escentual. Great for my atopic skin ... Only criticism being that it is more difficult to retrieve the last drops from the pump dispenser compared to the tube. This entry was posted on Thursday, September 15th, 2011 at 3:00 pm and is filed under Brand Focus, Shopping Guides, Skincare, Skincare. You can follow any responses to this entry through the RSS 2.0 feed. You can skip to the end and leave a response. Pinging is currently not allowed.